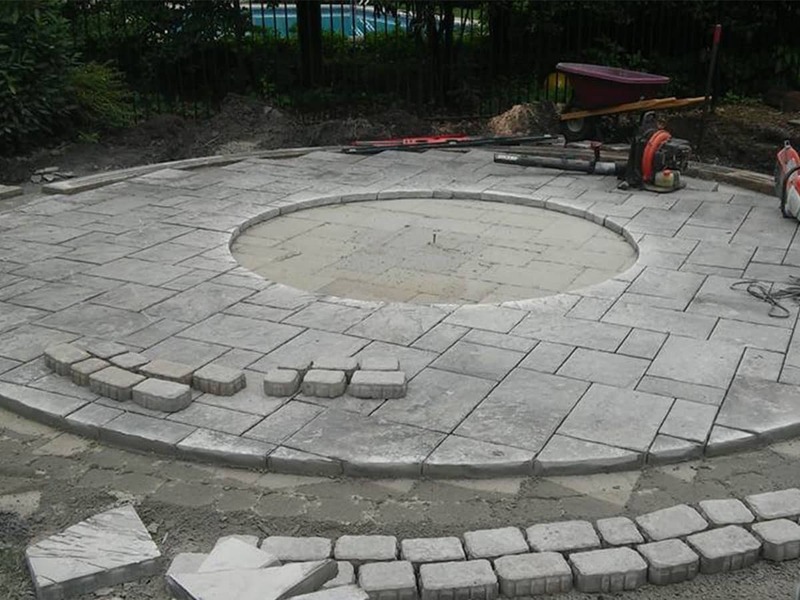 Our team specializes in colorful, low maintenance designs, tailored to your tastes and budget. 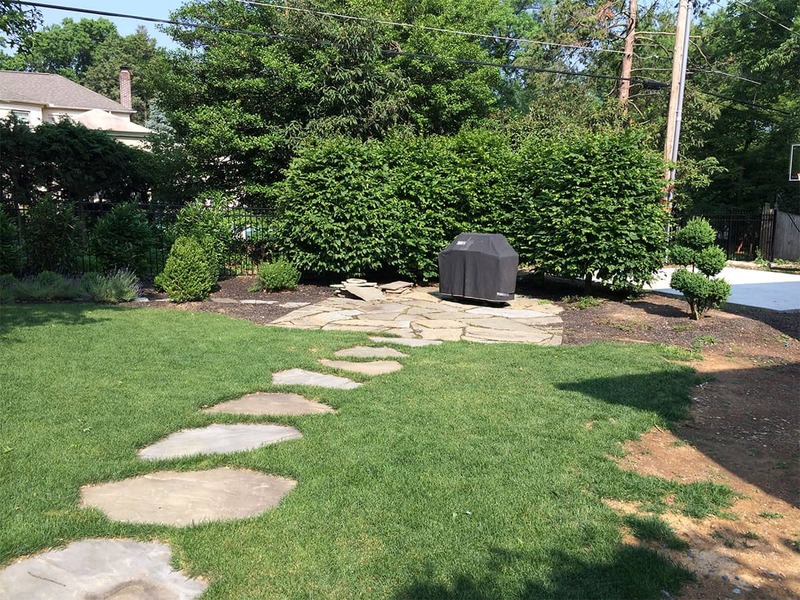 After LISTENING to your needs, we will determine the most cost effective way to design and transform your dreams and desires into a functional landscape that you can enjoy. 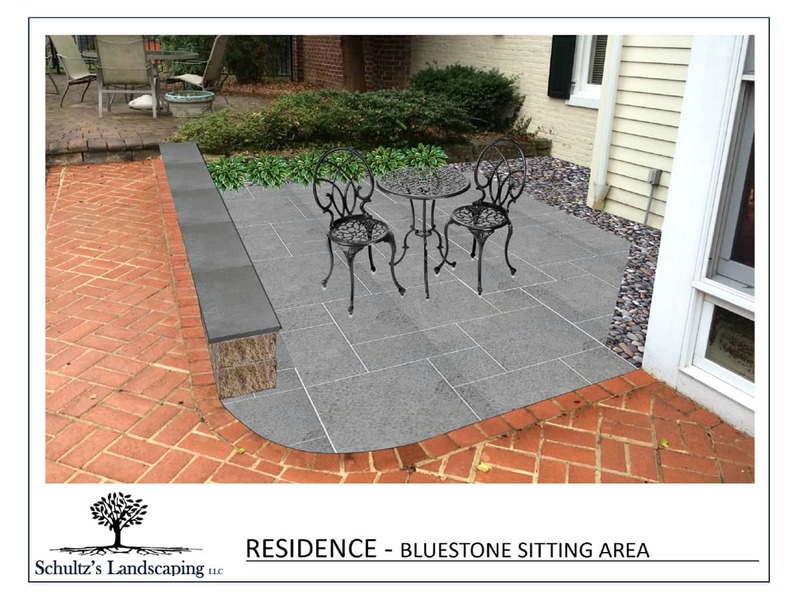 Although every project is different, you can still get a sense of what goes into a landscape design by reviewing the progression of pictures below. This picture shows just how much change was needed. 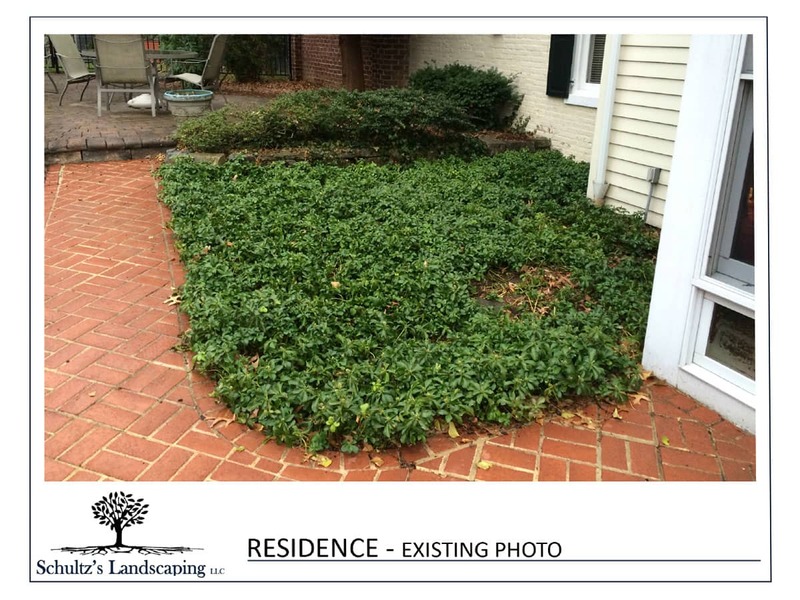 The plant material was out of hand and the patio was unusable because it was uneven and full of weeds. 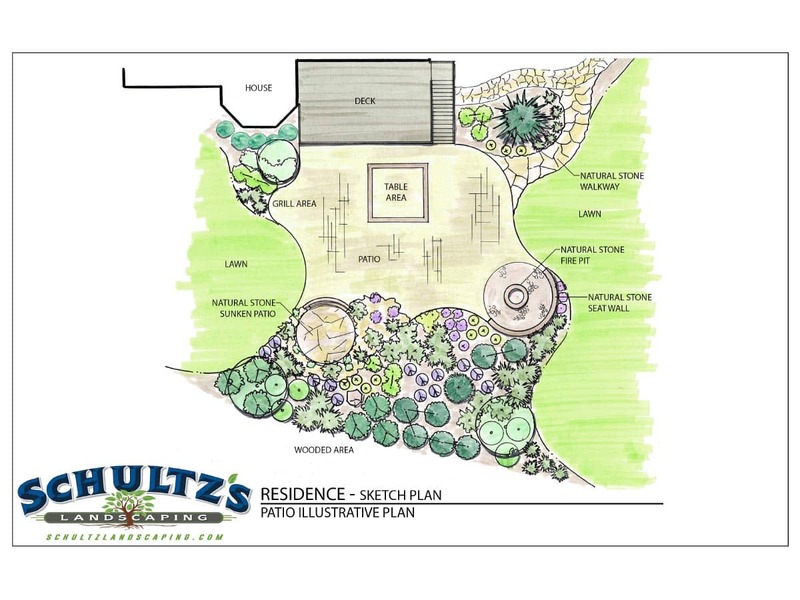 Although the next step varies depending on budget and need, a sketch plan and photo rendering is provided. 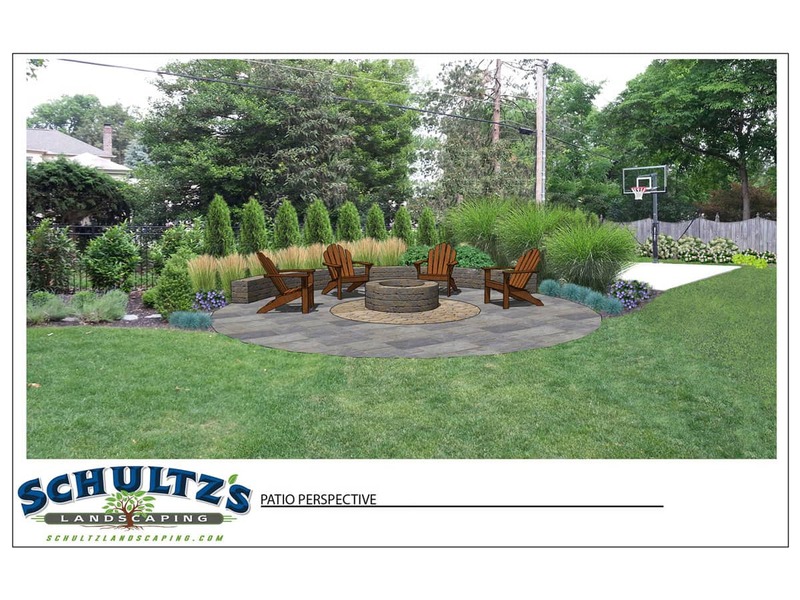 In this photo rendering our team designed a fire pit with sitting wall and low maintenance plantings. It made it easier for our customer to visualize the space. Once the plan was approved our team got to work. The old plant material was removed. The area was excavated to proper depth. 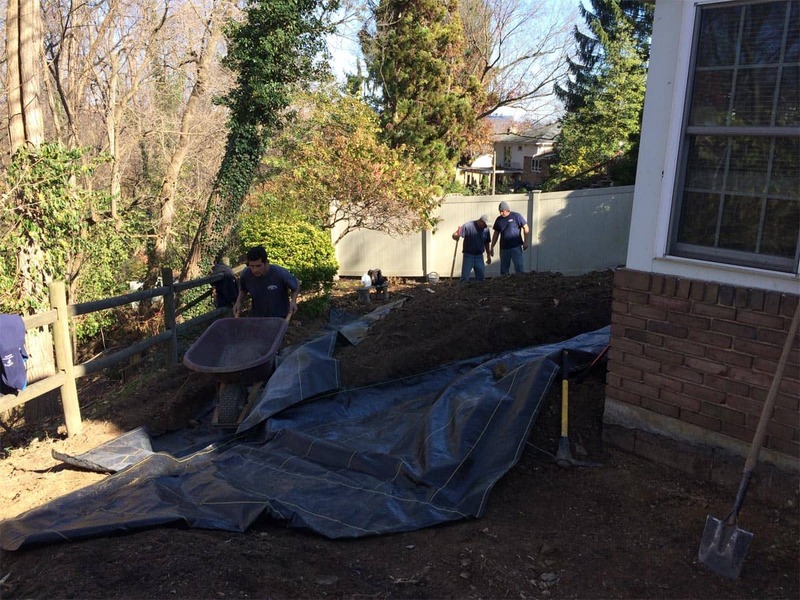 Geotextile fabric and 2A modified base stone are installed and tamped into place. 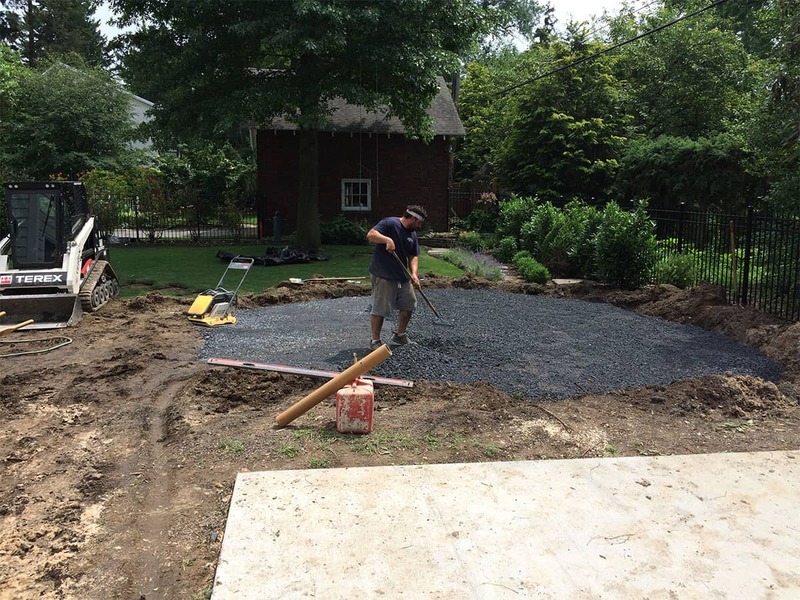 One inch of base sand is installed and the patio begins to take shape. 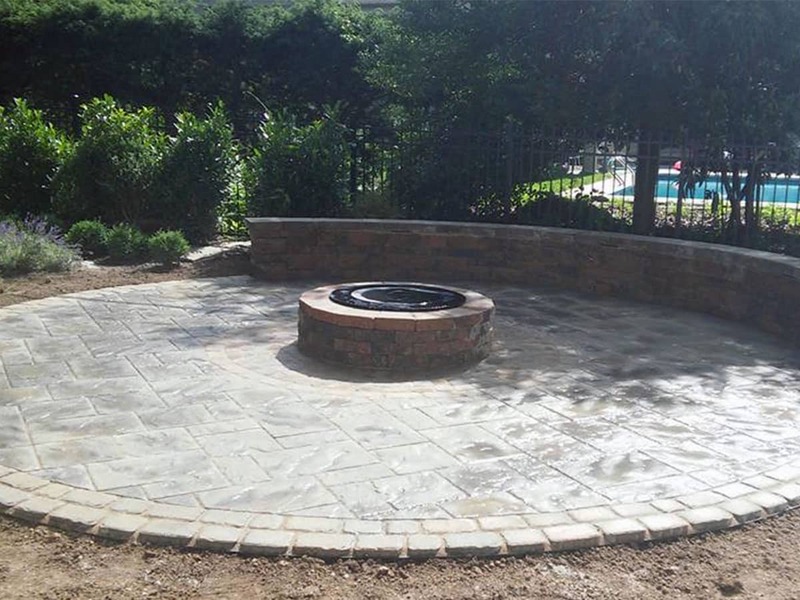 The fire pit and sitting wall are installed. 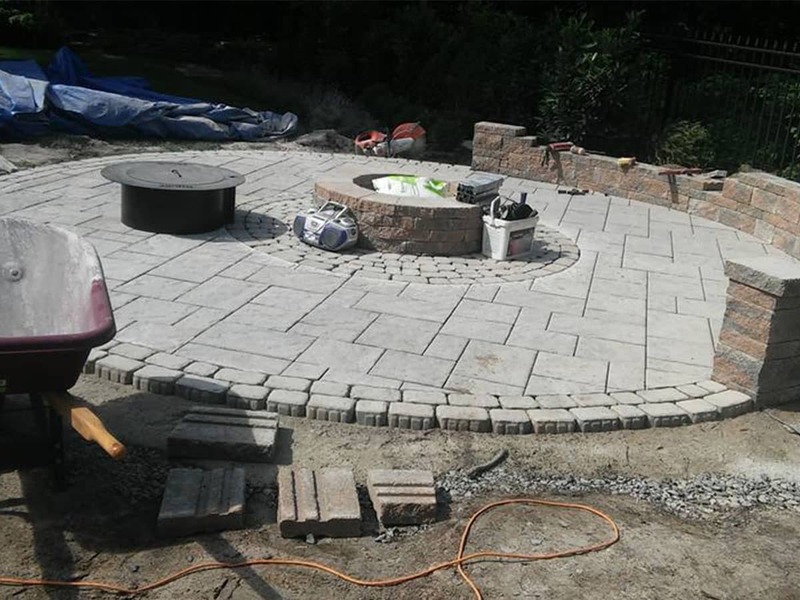 Restraint edge is added around the perimeter and polymeric sand is installed between the paver joints to prevent weeds and add stability. 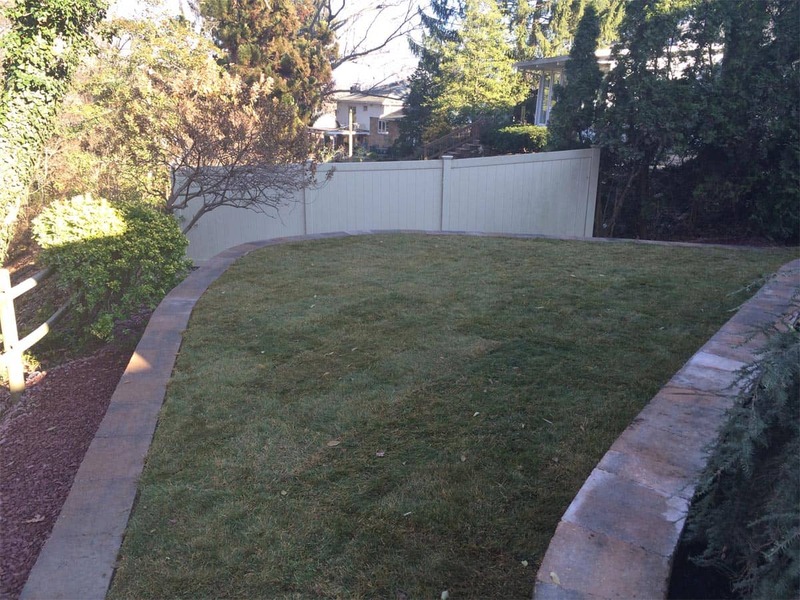 Sod and plant material are installed. 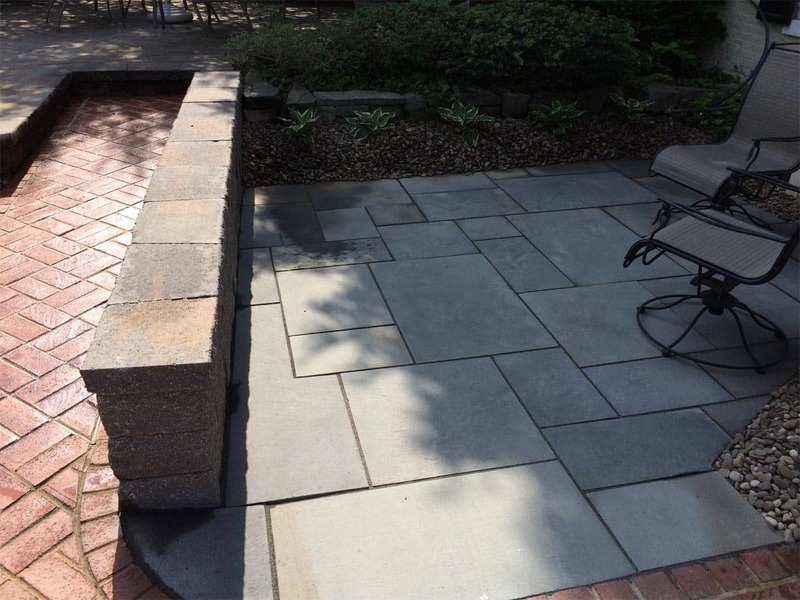 You can visit this project in our Before and After section. This is a great example of a before picture. The sketch design is created based on our meeting with the customer. 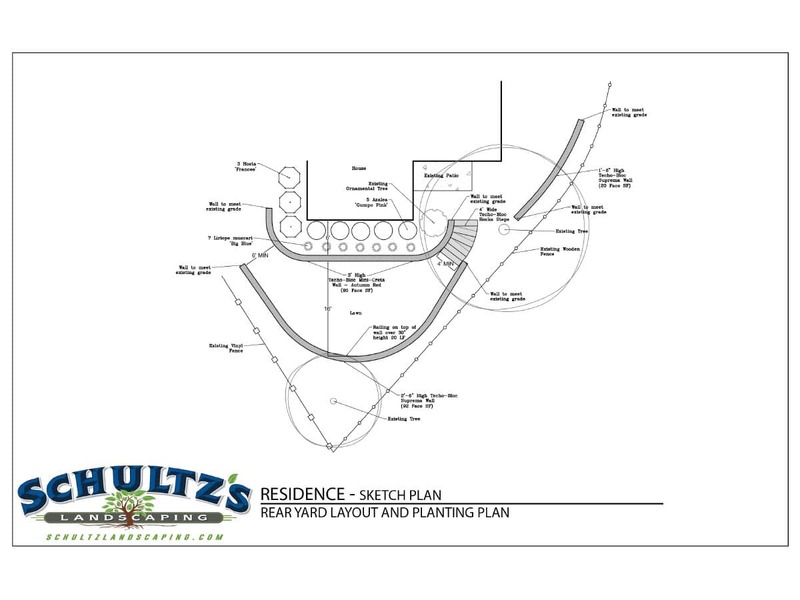 The photo rendering gives the customer a better visual of how the design will look. This is a photo of the completed project. 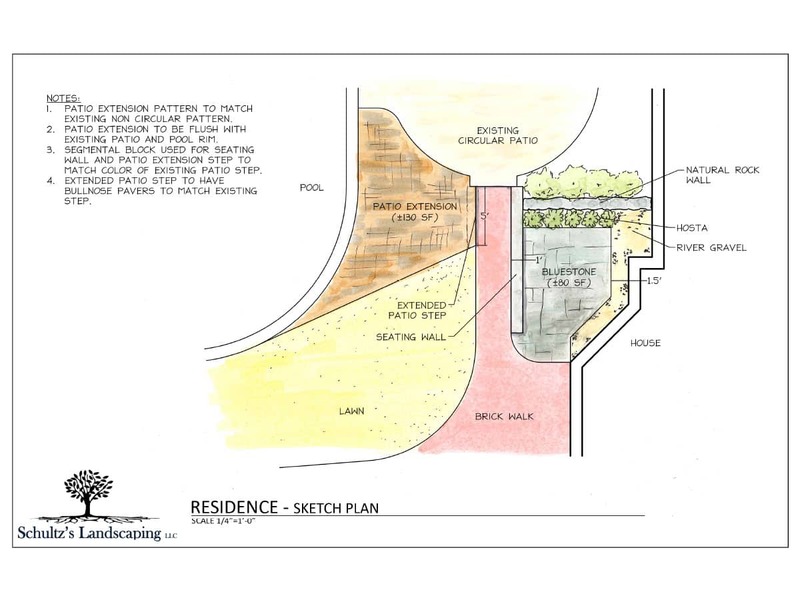 Sketch plan of a rear yard. Photo rendering with a rear view. Our team busy at work. 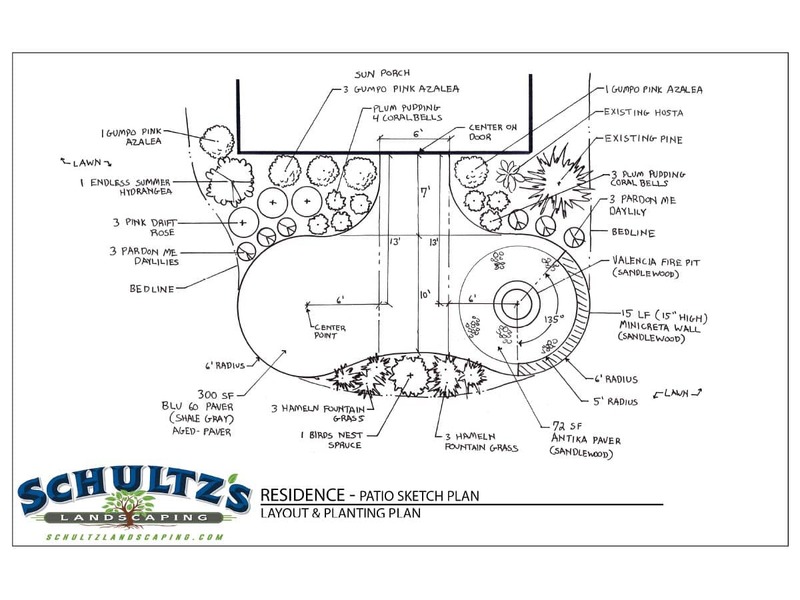 Sample of a sketch plan for a rear patio. 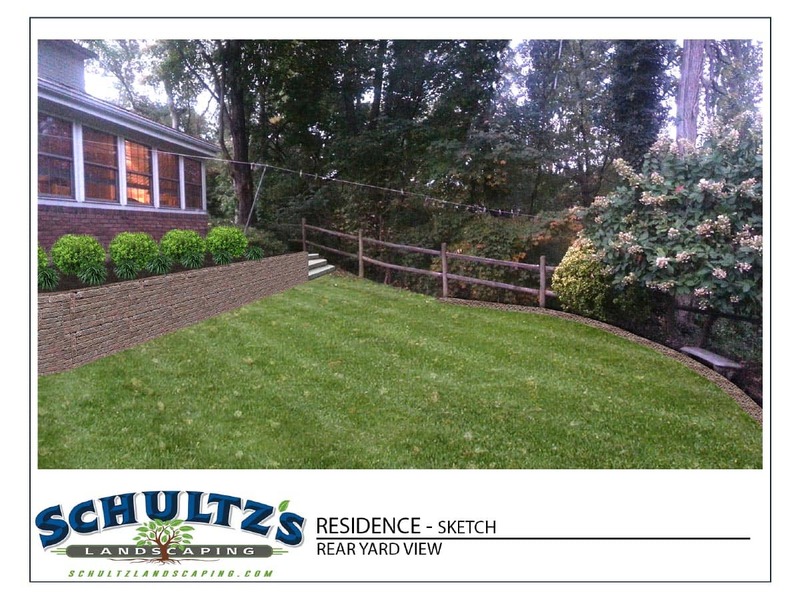 Photo rendering with a view perspective from the lower area of the property. 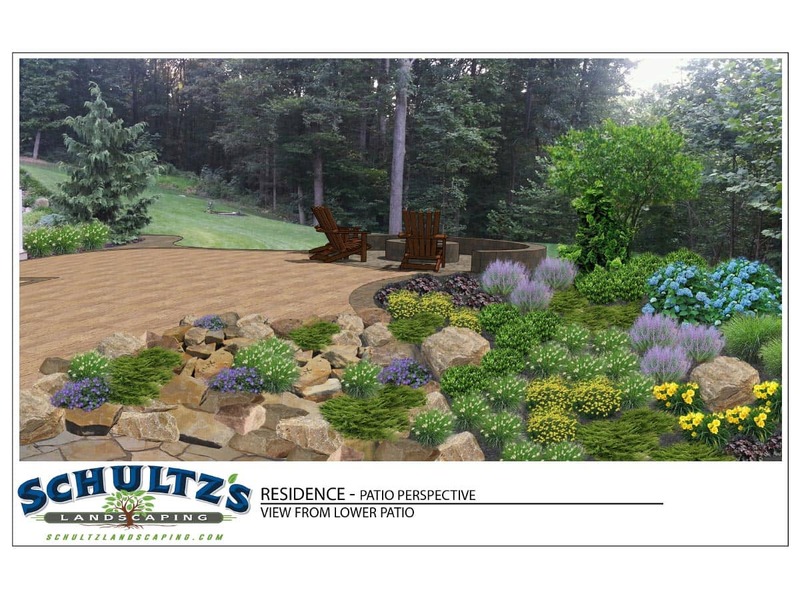 Photo rendering with a view perspective from the deck. This is another rear patio that is built up against the back of a house. 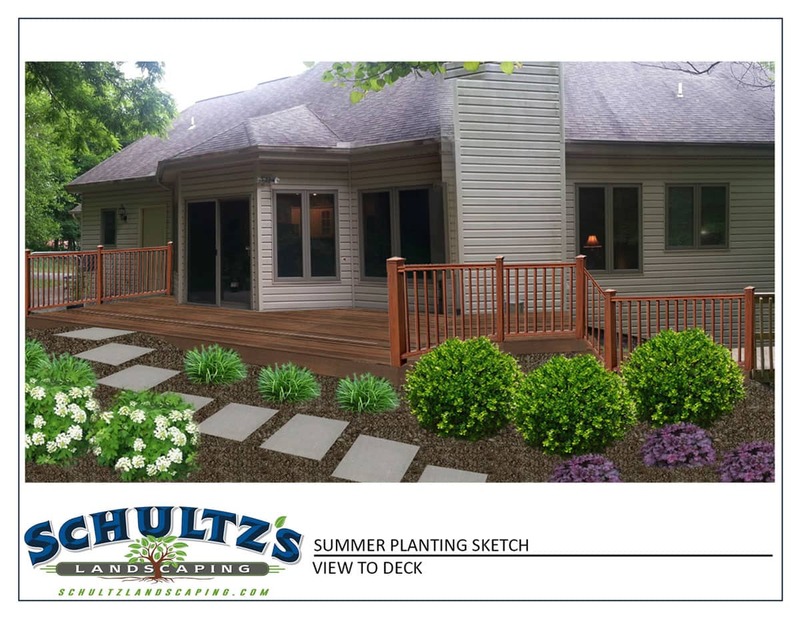 Notice the photo rendering showing the house included so that the customer can get a good sense on how the project will look completed. 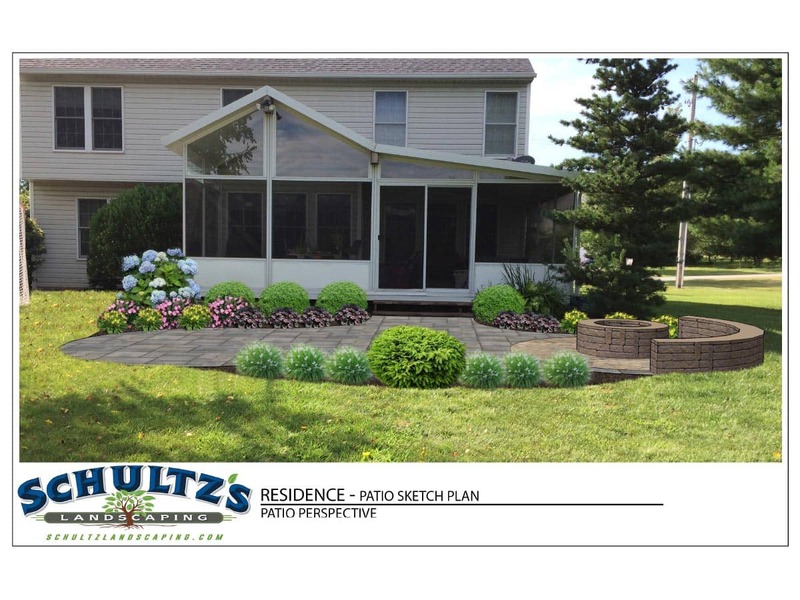 See what your design will look like BEFORE the project begins with our expert photo rendering service. 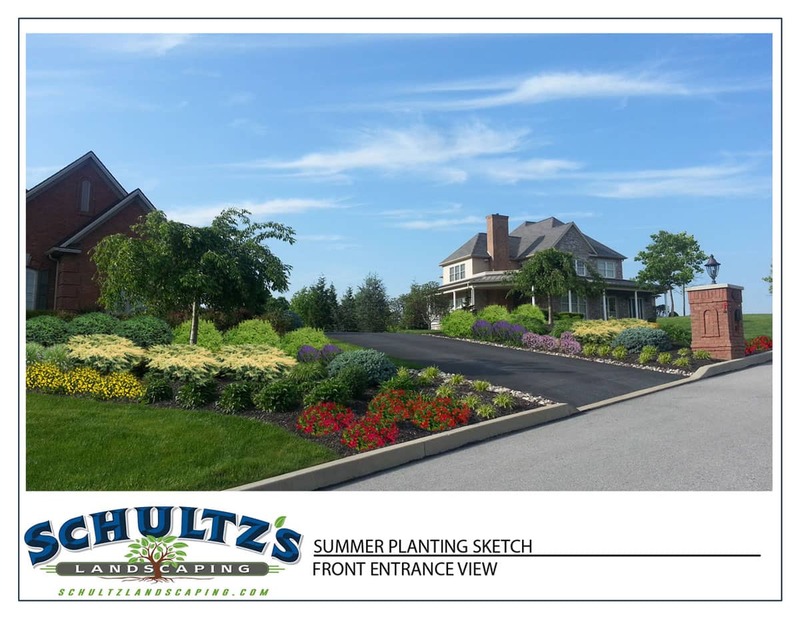 This summer planting sketch shows perfectly how the finished project will look. 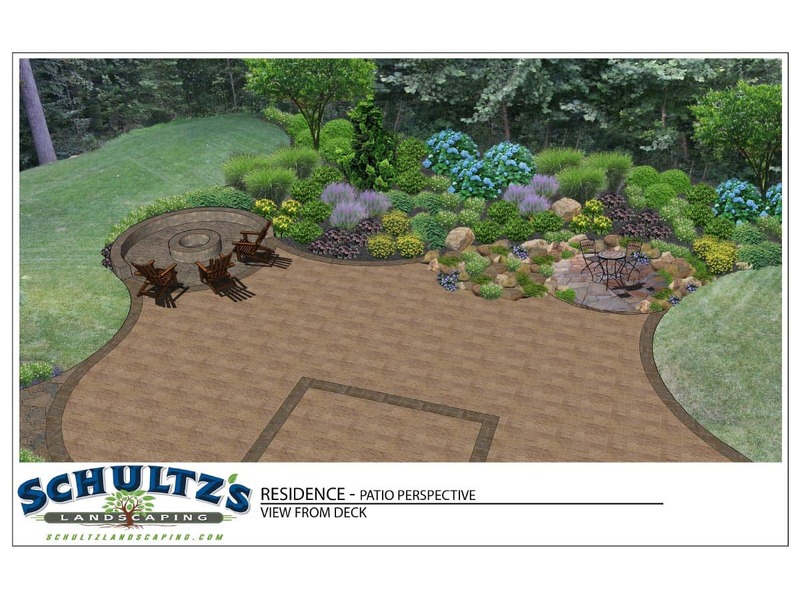 This photo rendering reflects the plants selected perfectly showing various colors and sizes. We are very pleased! 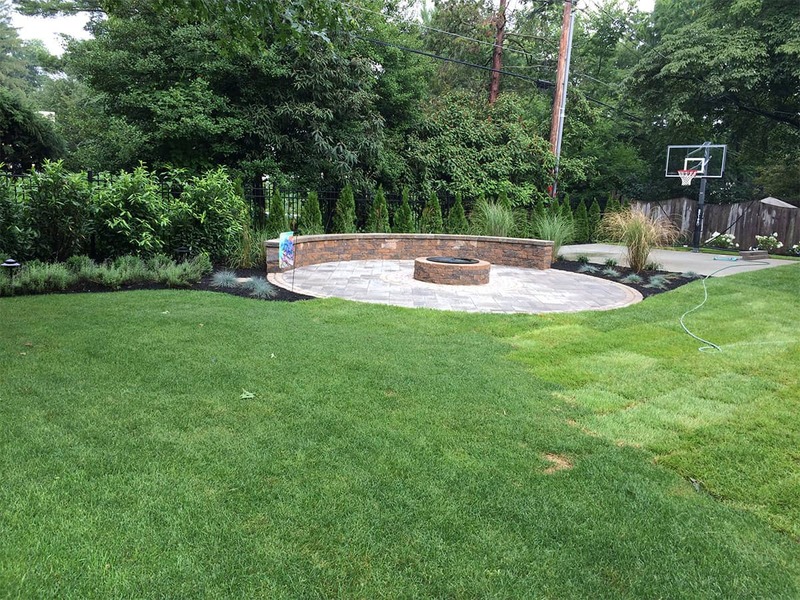 The crew was efficient and professional, Dave was great to work with, finished product…amazing! Thank you.